The stomping ground for artists, writers and intellectuals since the 1970s, Cihangir, a neighbourhood in Beyoğlu, is easily likened to districts such as Le Marais in Paris or Williamsburg in New York. The bohemian lifestyle hangs thick in the air amid the neighbourhood’s narrow streets shrouded in greenery, great street cafés, and wonderful clothes and food boutiques. The area is one of the prettiest in the city – a stark contrast to the madness of Taksim and Istiklal Caddesi – and to keep the neighbourhood looking attractive, the clever use of small concrete slabs lining the streets has been employed to prevent cars driving whenever they please. After all, this is Istanbul. The name, Cihangir, comes from Suleiman the Magnificent’s son, Cihangir, who favoured the area when it was still a forested hunting ground. After Cihangir’s death, Suleiman commissioned Mimar Sinan to build a wooden mosque that commemorates his son. Rebuilt since, Cihangir Mosque has one of the best views of the Bosphorus. As the influx of Europeans into Istanbul in the late 19th century drove up real estate prices in Pera where the Europeans originally settled, the new arrivals made their base in surrounding areas such as Cihangir. The tradition continues in this residential neighbourhood, and there are just as many expats as artists in newly-renovated apartment blocks with pink, yellow and pale green façades. Apart from galleries (see Cornucopia Gallery Walk: Taksim to Cihangir) there are also many restaurants, bars and cafés serving great coffee, international cuisines and of course, cocktails. Cihangir’s most famous resident, novelist and Nobel laureate Orhan Pamuk made the neighbourhood his home after spending his childhood in Nişantaşı. His Museum of Innocence, which he established in 2012, displays the real-life artefacts collected by the protagonist and narrator of his 2008 novel of the same name and, in this way, traces the love story of the novel's central characters. The eventual aim of the collection is to grow into an exhibit of everyday life in Istanbul in the second half of the 20th century. The Orhan Kemal Museum celebrates another famous literary figure, Orhan Kemal, at No 30 Akarsu Caddesi. He was most known for his realist novels telling the stories of the poor and disadvantaged in early 20th-century Turkey. Cihangir is also home to some of the city’s busiest nightlife spots catering to the young and cool crowd. Start your evening at the beer terrace, easily missed, down the steps on Sıraselviler Caddesi where the lively vibe will get you in the mood for the rest of the night. Then, head back down Sıraselviler Caddesi towards Taksim Square to the über-cool Kiki (Sıraselviler Caddesi No. 42, Cihangir), a gastro pub known for its house vodka cocktails (mastic and pomegranate are two flavours) and the dancing which kicks off from 23.30 on most nights. The nearby Roxy Club (Sıraselviler Cd Arslanyatağı Sokak, No. 7, Cihangir) is a proper nightclub and live music venue for the serious party-goer. There is also 5. Kat (Soğancı Sokak No: 7, Level 5, Cihangir), a restaurant and bar on the fifth floor (thus the name) during the day and evening (the view onto the Bosphorus is stupendous) with a modest but fantastic international menu (the meat and seafood dinner dishes are standouts). On the weekends, however, 5. Kat also hosts special events and international DJs. Booking are a must for dinner. And, there’s Münferit (Yeni Çarşı Caddesi No. 19, Beyoğlu), also in neighbouring Çukurcuma, which turns from a meyhane (a modern Turkish tavern) serving yummy mezes to a cosy dance floor. It is always packed so reservations are also recommended. As you are walking along Sıraselviler Caddesi, you will come across many great food options. If you’re in the mood for breakfast or brunch, lots of cafés serve these all day to accommodate their artist and expat community which sometimes don’t make it out of bed before 15.00. There are also lovely lunch spots and casual dinner eateries where you can enjoy a nice glass of wine. For breakfast, pick up a delicious pastry at Savoy Pastanesi (Sıraselviler Caddesi, No. 181/183A, Cihangir), or stop for a longer meal at Van Kahvaltı Evi (Defterdar Yokuşu No. 52/A, Cihangir) after Sıraselviler Caddesi turns into Defterdar Yokuşu. One of the most popular breakfast places in the city, not just Cihangir, Van Kahvaltı Evi serves unbeatable kahvaltı tabagi (breakfast plates) using produce they source from local farmers. Some interesting options such as eggplant pancakes and kavut (roasted wheat flour with honey and walnuts) will add flair to your breakfast. For lunch or dinner, Akarsu Caddesi, perpendicular to Sıraselviler Caddesi, has hotspots such as Smyrna (Akarsu Caddesi No. 29, Cihangir) where Western-inspired cuisine is served in a former antique shop which has kept its antique furniture and bohemian charm (and is another great place to spot Cihangir’s famous faces), and Meyra (Akarsu Caddesi No. 36, Cihangir) – formerly Leyla and also popular with the city’s literati – which serves satisfying food all day long and does a mean breakfast. Another great casual café on this street is Journey (Akarsu Caddesi No. 21/A, Cihangir), a two-storey establishment with a communal table on the second floor providing a friendly, buzzing atmosphere. Again, the menu, like many things in the neighbourhood, is Turkish-inspired but with a strong European twist. The roasted lamb shank, for example, is cooked in honey and served with mashed potato. The lamb pie is cooked in borek (traditional Turkish pastry) pastry with dill and peas inside. There are some interesting salads on offer as well, such as the celery and buckwheat (hard to find in Istanbul) salad served with coriander and spinach. All the meals are prepared with love. For a pizza craving, the thin-crust, wood-fired offerings at Miss Pizza (Havyar Sokak No. 7, Cihangir), on a side street off Akarsu Caddesi, should not be missed. Kitsch surroundings that call to mind 1970s sitcoms provide the dining area where pizzas served the traditional Italian way (with two to three toppings rather than ten) do not disappoint. Or for a sweet treat, Mua Gelatieri (Firuzağa Camii Sokak No. 2, Cihangir), next to the mosque, serves authentic Florentine gelato, and the friendly Italian owner will let you taste as many as you like before making your choice. Do not go to Cihangir for things you can buy on Istiklal Caddesi – Cihangir serves those who have a penchant for something a bit more special: vintage clothing and objects, designer finds, or the finest food and wine. For vintage lovers, Leyla Seyhanli (Altıpatlar Sokak No. 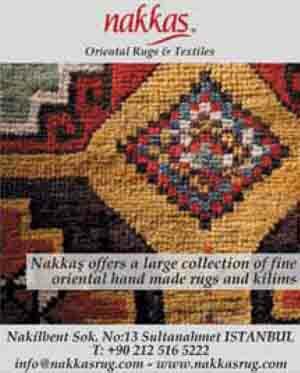 6, Cihangir), off Ağa Hamamı Sokak, which is parallel to Sıraselviler Caddesi, has a huge selection of top-quality vintage clothes, costumes, hats and even tapestries. Berrin Akyüz (Akarsu Caddesi No. 22, Cihangir) offers causal and evening wear in lush fabrics, bold colours and interesting shapes. 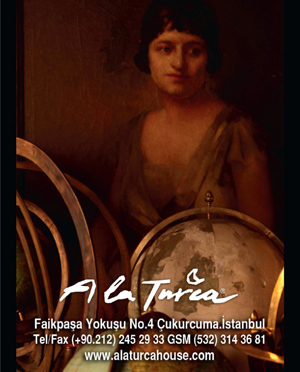 And, Opus 3A (Cihangir Caddesi 3/A, Cihangir) has a large selection of CDs and new records, including a classical music and jazz collection, as well as a collection of 1970s Turkish pop. Just on the corner of Sıraselviler Caddesi and Akarsu Caddesi opposite the tea garden is Antre Gourmet Shop (Akarsu Caddesi No. 40, Cihangir). Its inviting green exterior leads you inside a paradise of charcuterie, a huge selection of cheeses from regions all over Turkey and Europe, olives and olive oils. For pickles, Asri Turşucu (Aka Hamamı Sokak No 9A, Cihangir) has all the sour, crunchy and salty cucumbers, cabbage, peppers, garlic, okra, tomato that you may want. La Cave (Sıraselviler Caddesi, No. 109, Cihangir) sells fine wine from all over the world and other spirits but the prices are not modest. And, health nuts can get their fill at the Balya Organik Health Food Store (Batarya Sokak, No. 16, Cihangir), which is quietly situated away from the rest of Cihangir's bustle on the a small side street coming off Defterdar Yokuşu, on the corner where the Witt Istanbul Suites , with stunning views of the Golden Horn and Galata Tower, are located. All the usual health food produce can be found there, and there is a pleasant outdoor café serving a small selection of light meals and drinks. Cihangir is undoubtedly the place to do yoga with a few studios offering classes and tuition in both Turkish and English. Try Cihangir Yoga (Meclisi Mebusan Yokuşu No: 15, 4th Floor, Cihangir) and the Yoga Academy (Sıraselviler Caddesi, Soğancı Sokak, İttihad Sigorta Apt. Level 5, No. 17, Cihangir) (I have done a few classes at the first one but not the second one so not sure we should include it). The crowds flowing from Taksim Square tend to sweep visitors onto İstiklâl Caddesi; the cars and kebab shops that line the top of Sıraselviler Caddesi, one street to the left of the famous pedestrian thoroughfare, don’t exactly draw you in. But just out of sight is one of the most attractive parts of Istanbul. After a couple of minutes’ walk from Taksim, its arrival is heralded by a great old-fashioned Istanbul patisserie, Savoy. Across the street and down the stairs is Otto, a fashionable café/bar in a shady tree-filled courtyard. A little further along is Pilot, a pioneering contemporary art space housed in a converted 1970s nightclub. Opposite is a square with the pastel-green Firuz Ağa Mosque and a few cafés that are always busy, including two where you strictly drink tea, lovingly known to the locals as the Cihangir çay bahçesi. Also try Firuz and Kardeşler Kebap. Opposite these, you’ll find a branch of Selim Usta’s Tarihi Sultanahmet Köftecisi, an Old City institution. But for the indigenous equivalent you should turn right into Çukurcuma and the Çukurcuma Köftecisi, where lunch is summarised by our friends at Istanbul Eats as ‘like being part of the live studio audience of a sitcom with meatballs. Three generations of an unusually tall family run a busy local restaurant with what seems like very little service industry experience but great intentions and strong will. Hilarity ensues.’ The meatballs are delicious. Çukurcuma is Istanbul’s main antiques district. The meatball shop is on Faik Paşa Caddesi, just downhill from A la Turca, Erkal Aksoy’s museum-like carpet and ceramics shop at number four. Three stories of town house are filled with fine furniture, rugs and objet d’arts, all displayed with the finesse of an expert interior designer. Cornucopia readers can be sure of a warm welcome. These days Pamuk lives in Cihangir, due left of the square with the green mosque. On Akarsu Caddesi you’ll find the Orhan Kemal Museum, dedicated to another of Turkey’s great writers. From there store fronts thin out and the cafes – still plentiful – become more and more local in character. Waiters air-kiss the cosmopolitan diners, who cross the room to greet their neighbours. Smyrna and newcomer Journey are two of the more popular at any time of day. Continue straight from Firuz Ağa Mosque and you come out on Boğazkesen Caddesi, above the old Ottoman cannon foundry which gives the district of Tophane its name. Istanbul Modern is on the Bosphorus shore, across the main road and tram line. The logical place to go next is Karaköy, for a sunset drink on the terrace of SALT Galata. Start in Taksim, easily reached by metro and the funicular from Kabataş, or by taxi to the Cihangir mosque. From İstiklâl Caddesi, thread your way through the narrow lanes behind Galatasaray Lycée. The easiest way to get to Cihangir is to get to Taksim Square and then take the long street next to Istiklal Caddesi called Sıraselviler Caddesi, which takes you to the heart of Cihangir. Walk along Sıraselviler Caddesi past the kebab shops, past Cihangir’s most popular nightspots and past the German hospital, and you will get to the neighbourhood’s main çay bahçesi (tea garden). Turn down the perpendicular Akarsu Caddesi and some of the other side streets away from Istiklal Caddesi and closer to the Bosphorus to find some of the neighbourhood’s treasures.Strictly by foot only. Wind your way downhill, and end up in Tophane. The small, former wooden mosque, the Cihangir Mosque (Pürtelaş Hasan Efendi Mh, Cihangir), can be reached by turning into Soğancı Sokak from Sıraselviler Caddesi and then into Güneşli Sokak. The mosque is at the bottom of the street. Just behind the çay bahçesi (tea garden) – there is a connecting passageway – is the pale-green Firuz Ağa Mosque (Defterdarlık Yokuşu No. 53, Cihangir), surrounded by a square with some popular cafés.